What exactly is Mahjong? I’m glad I asked that question for you. It’s a commonly held belief that Mahjong can never actually be learned by mortals. This is inaccurate. Mahjong can be very simple and—yes—almost fun. Learning Mahjong is as simple as learning the rules of the game and how to play it. Mahjong can be played by any number of players that is equal to exactly four. Like these guys, once they’re done toying with those ghastly hoofed animals. 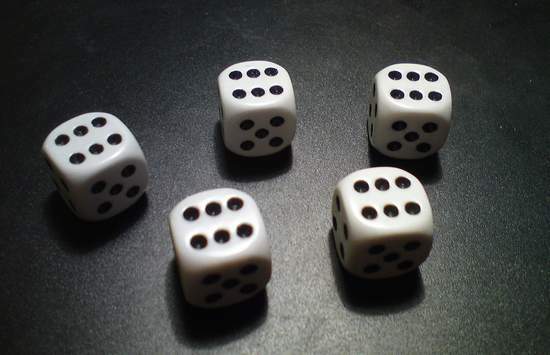 The game also contains dice that are mainly used for tricking people into wrongly assuming that Mahjong is as straightforward as Yatzy. Ha ha ha! Mahjong laughs at your silly games. Finally, the game is typically accompanied by a manual that can be safely thrown out due to having been translated by someone not familiar with either English or the concept of constructing sentences. The goal is to assemble a winning hand of 14 tiles arranged into specific sets and combinations. 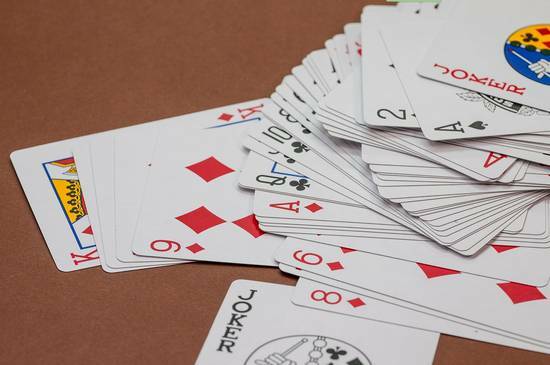 It’s basically like Rummy, if Rummy were a cruel mental torture device disguised as a game. Mahjong continues to laugh at the silliness of your games. Put all the tiles face down, shuffle them, and build a square fort out of them containing a “wall” of tiles (two tiles high) on each side. That was fun, wasn’t it? Good! Your fun time is over now, it’s time to get down to Mahjong. All players take turns to roll the dice. 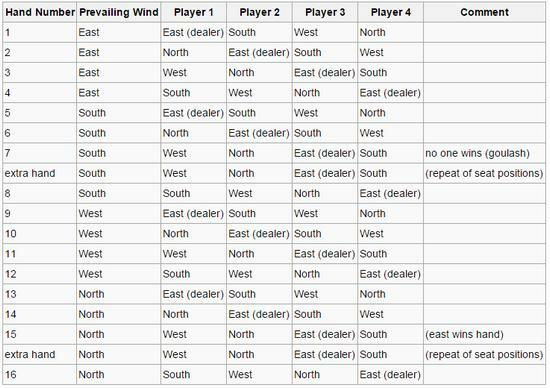 The one with the highest total score is the dealer and automatically the “East wind,” which is also always the “prevailing wind” when you start. Obviously. The dealer rolls the dice again, adds the sum of the points to his previous winning points, uses the total number of points to count the tiles clockwise starting at the right edge from where he’s sitting, and takes four tiles into his hand from the place he lands on, thereby “breaking” the “wall.” Easy peasy. You’re finally ready to start! Each player now takes turns to take tiles in a sequence that varies depending on which rules you play by, so just do whatever works for you before somebody has to go home. When everyone has 13 tiles in their hand (and the dealer has 14 tiles), the game starts. Players take turns picking and discarding tiles from the wall. When someone discards a tile, players that can use this tile in a combination claim it by yelling “Pung,” “Kong,” or “Chow,” meaning “Pung,” “Kong,” or “Chow,” respectively. 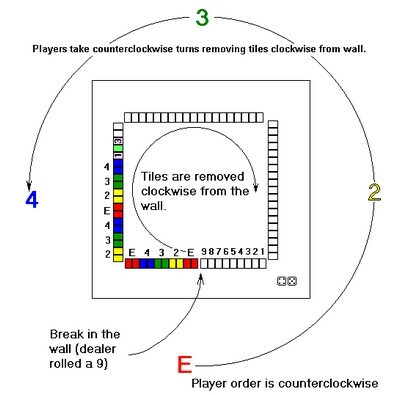 If nobody claims the tile, the game continues and other players draw tiles from the “wall” instead. This cycle goes on until somebody wins or until the heat death of the universe (whichever comes first). Once somebody has a complete hand, they announce this by yelling “Mahjong,” which usually wakes everyone else up from their involuntary slumber. Yes! You have a winner! Now we get to the exciting part: the scoring! Not to discourage you, but there exists a separate article on Mahjong scoring, which in turn links to even more articles about the different types of scoring based on which rules you’re playing by, like some evil matryoshka dolls of never-ending madness. Wait, you didn’t think this was it, did you? Ha ha ha. You’re hilarious. Mahjong laughs at your concept of helpful tables. Don’t worry: You will usually find that—upon discovering that there’s more than a single hand—your friends will collectively attack you with nearby objects. You can look forward to a fun night of fist fights and trips to the hospital and/or prison. And isn’t that what life is all about? Congratulations, you are now a Mahjong master! Can’t we just play checkers? Oh trust me, this is well over my head too, as my referring to this game as “torture” hints at! No game should require its own Master’s education to be learned! Funny, but I already meet two of the requirements:1. Studying for a final exam 2.Not having a social life. Then you’re well on your way, young grasshopper! Believe, and you too shall master the art of Mahjong. Also, this is quite uncanny…I literally just left a comment on your blog 2 minutes ago. Well thank you old soul in a young person and I have no idea where I am going with this? It started out sounding good. I saw your reply and have replied with my usual witticism or is that lack of wit? Whatever it is I have commented. And so the plot thickens. We may never get to the bottom of this, but surely we won’t get to the edge of it either, which is more than can be hoped for and less than can be expected. That clears it all up nicely. It may have something to with my lack of being medicated, but it all makes sense to me now. I know nothing about Mahjong, and now realize it is much too complicated for my puny brain. I did, however, laugh while reading this. What? Instead of giving you a thorough and helpful guide I have ended up discouraging you? How did THAT happen?! Happy to hear you enjoyed the post. We played this in high school when we read “The Joy Luck Club” in my AP English class, but it wasn’t this complicated and now I feel like they probably lied to us about how to actually play it. Guess I’ll stick to my phone app, which basically turns it into a fancy game of match. Ah, yes, the “solitaire” version played with Mahjong tiles. Think I tried that before. In any case, this is a lot more complicated than I remember this game being when I tried it years ago! i’ve played only a few times when my mother in law taught me, and i lost every time. when i played with her, she would let me win using the easier combinations.. but she said when she played with her friends, they couldn’t even score with the easy combinations, you HAD to get the more difficult ones to score. Oh but I did mention the flowers and how simple it is to use them. There are the flower flowers, the season flowers, the dragon’s-face-that-is-only-visible-during-midnight flowers…very straightforward. Yeah I actually recall playing Mahjong with my friend and his parents (who were Chinese) back in the day, but I definitely remember it as an easier game than this. You have cured me off any lingering interest in learning this game. Seeing as how I like games where I can just sit there and not think–not do anything, really–I suspect I best avoid this one. Sounds like a good way to trigger a migraine. Or a seizure. Or a nervous breakdown. Or a sudden insatiable urge to kill kill kill. Wait, maybe that’s just me. I’ve always suspected that the Chinese are masochistic – now I’m convinced. It’s hardly ‘snap’ is it? What do you mean? I thought this guide demonstrated just how easy this game is and made it crystal clear! Maybe you’re just overanalyzing the 3571 pages of rules that Mahjong comes with?